A well-balanced and healthy diet features plenty of water, but did you know that when you drink your water can also have an impact on your body and overall health? 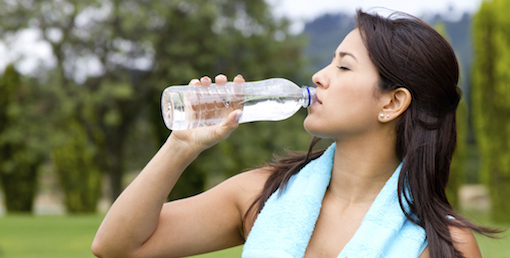 Learn more about one particular healthy habit that we think you should start practicing: drinking water on an empty stomach. While water might not be able to burn fat itself, it can play a huge role in powering up your metabolism early on in the day. Drinking water first thing in the morning, with little to nothing piled up in your stomach, will allow your body to better digest food and convert nutrients into your body more effectively. This will help you feel more satisfied and full and will shed weight in a healthy manner. People spend hundreds of dollars trying to find all-natural detoxifying products, but the truth is, there aren’t many detoxifiers better than water. And water does its best detoxifying work on an empty stomach. When water starts hydrating your body, you’ll experience a flushing out of toxins stored inside, because it’s no secret that an increase in water intake results in an increase in bathroom breaks. Having an empty stomach allows for your body to more effectively filter out toxins and results in a purer detoxification. Water can also spur on bowel movements – perhaps not to the extent of your morning coffee, but still to an effective end. Ensuring that you’re having regular bowel movements is a great way to determine overall health. Among water’s many regulating benefits, its ability to regulate stomach acidity stands out among the rest. According to Step to Health, drinking at least 3 glasses of water on an empty stomach can reduce the level of acidity in your stomach, resulting in a decrease in frequency of cramps that cause gastritis. 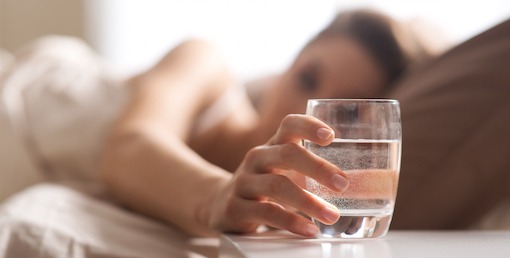 Did you know that drinking water on an empty stomach can help cleanse your lymphatic system? The lymphatic system is the network of tissue and organs that assist in the transportation of white blood cells that fight infection. As a great supplement to your regular flu shots, keep this one in mind for when fall and an upswing in illnesses roll in. Before reaching for an ibuprofen after your next headache hits, you might want to consider grabbing a bottle of Absopure water beforehand. 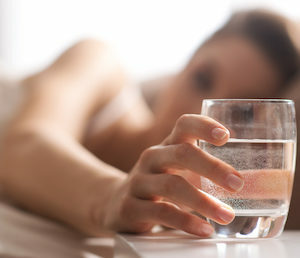 Drinking water first thing in the morning ensures that you’ll be well on your way to a hydrated day, and far less likely to experience a headache. There’s no doubt that drinking water on an empty stomach has some special benefits, but drinking water at any time during the day is a great idea. Make sure you and your family are properly hydrated with Absopure Delivery Services.